Andrew Dwyre was born October 1, 1860 in South Crosby Township in Leeds County, near the village of Elgin. He was the youngest of eleven children born to Andrew and Catherine (Kelly) Dwyre who had settled in South Crosby about 1835 on Lot 16, Conc. 2 where they farmed and raised their family. His father, Andrew, was a native of Wexford County, Ireland. Andrew was educated in the rural schools and Elgin public school and in the Farmersville (now Athens) high school. Following high school, he was a teacher until 1880 when he tendered his resignation to the trustees of the school section in South Crosby and then became a student in the faculty of medicine at Queen's University, Kingston. He graduated from Queen's on April 27, 1885 with the degree MDCM and immediately began his medical practice in Westport, Ontario. He invited one of his sisters, Miss Catherine Dwyre, to join him as housekeeper. In 1887 when his sister Ellen (Dwyre) Murphy died, Dr. Dwyre and his sister Catherine informally adopted and raised Ellen's 'middle' daughter, their niece Ursula Murphy, who lived with them thereafter. Later, another sister, Miss Theresa (Tressa) Dwyre and a niece, Miss Mary O'Donnell joined the household. In 1896 he moved his practice to Perth and established his office and residence in a large brick home at 19 Herriott Street. In 1908, niece Ursula graduated from the Royal Victoria Hospital School of Nursing in Montreal. 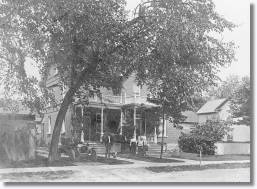 When she returned to live in the home on Herriott Street, she assisted the doctor with his practice and also regularly drove him on his rounds or other trips. Dr. Dwyre was a well-respected and beloved physician who maintained a busy practice for 50 years. 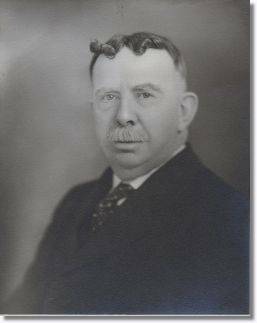 Appointed coroner of Lanark County in April 1897, he was also actively interested in education and was elected to the Board of Education in 1901, served as its chairman in 1915 and 1928 and was still a member in 1935. He enjoyed politics and, at the urging of friends, entered the 1904 Dominion election, but lost. 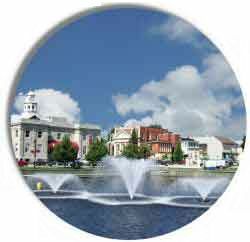 He became a member of the Smiths Falls Council Knights of Columbus, Perth Lodge of Catholic Foresters and the Perth Board of Trade. He remained on the executive of Liberal organizations and served on both the County and Eastern Ontario Liberal Federation. He became closely acquainted with Sir Wilfrid Laurier during this period. He was a member of St. John's Roman Catholic parish. Dr. Dwyre was very interested in horticulture and maintained a beautiful garden next to his home and enjoyed inviting visitors into it during summers. He also was known as an ardent supporter of amateur sports, guiding Perth's lacrosse and hockey teams in the early 1900s. Dr. Dwyre was known to have a wonderful sense of humor and his geniality and enthusiasm were enjoyed by all who knew him. According to some great-nieces and nephews who knew him in the 1920s & 30s, he maintained a positive, joyful and youthful outlook on life and had a very hearty booming laugh! He loved dogs, horses and children, was interested in antiques, classical and Irish music and had an extensive library in his home. A favorite small white dog was named "Smitty". Dr. Dwyre was one of the first to own an automobile in Perth. The Golden Anniversary of his practice in the medical profession was celebrated on April 27, 1935 with a banquet in his honor at the Perth Hotel. This event was attended by colleagues representing the County Medical Association, Dr. Hetherington, Dean of Queen's University and several other physicians from the area who spoke of their admiration for Dr. Dwyre. He was presented with a gold-headed cane on behalf of the Lanark Medical Society - the emblem characteristic of physicians. A few days later an "at home" reception in his honor was attended by many friends. According to one brief 1935 article about him, "Dr. Dwyre would probably be referred to as one of Perth's "grand old men" if anybody considered him old. But nobody does because he is remarkably active and has still been able to retain a youthful appearance. He has a voice like a booming bell, a smile that stretches from ear to ear, and a sense of humor that wins friends for him everywhere he goes." Dr. Andrew Dwyre died April 27, 1939 in Perth and is Buried in the Dwyre family plot in the Catholic cemetery in Philipsville, across the road from the former Church of the Japanese Martyrs. Oral history shared by my mother, Eleanor (Hamilton) Roach and her siblings who had the privilege of knowing their great-uncle "Doc" Dwyre. Descriptions of the Golden Anniversary celebration were obtained from family-preserved newspaper clippings from the local Perth newspaper and several unidentified other press publications. Original 1897 document of Commission as Associate Coroner of Lanark County. Original family photos in the possession of a great-great grandniece, Ann Kracke, who resides in Portland, Oregon. 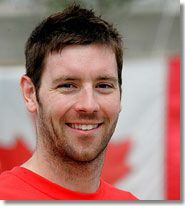 Mike Brown (born May 5, 1984) is a Canadian swimmer. He started swimming at age seven and is a student at the University of Calgary. His best finish at a world championships was at the 2005 championships in Montreal, Canada when he finished 2nd in the 200 m breaststroke. Brown won gold at the Commonwealth Games in Melbourne, Australia, beating his opponent by 0.01 s. He was born in Perth, Ontario. Brown competed at the 2008 Summer Olympics in the 100m and 200m Breaststroke. He finished 20th in the 100m heats with a time of 1:00.98 and 4th in the 200m final with a Canadian Record 2:08.84. 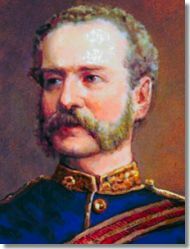 Herbert Taylor Reade VC CB (2 September 1828, Perth, Upper Canada - 23 June 1897, Bath), was a Canadian recipient of the Victoria Cross, the highest and most prestigious award for gallantry in the face of the enemy that can be awarded to British and Commonwealth forces. He served as Assistant Surgeon in the 61st Regiment, Gloucestershire Regiment. At the siege of Delhi, India, September 14, 1857, a number of British wounded were threatened by some 300 Sepoys. Surgeon Reade led a small party of soldiers against the attackers and drove them off. Two days later he was in the forefront of the final assault on Delhi, leading men and caring for the wounded. For his gallantry on both occasions, he was awarded the Victoria Cross and later achieved the rank of Surgeon General. Les Douglas, former NHL player and winner of the Stanley Cup with the Detroit Red Wings.